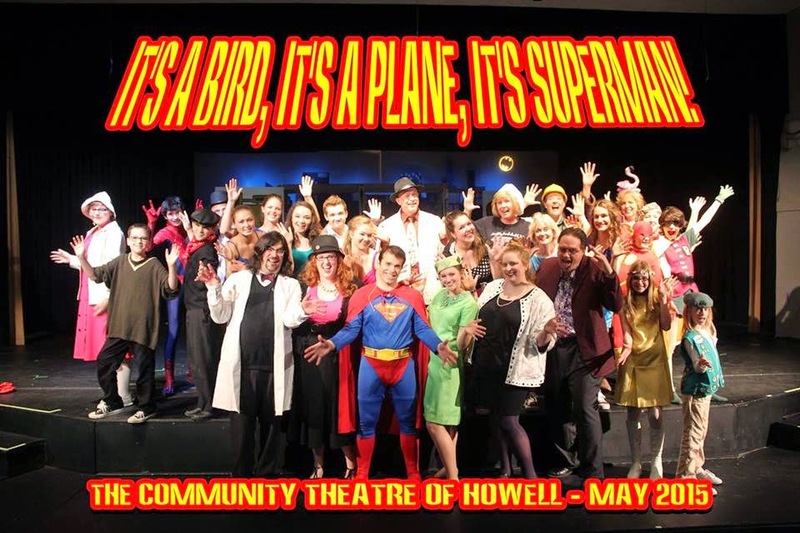 So as you probably know, since I couldn't shut up about it, haha, the official musical "It's a Bird, It's a Plane, It's Superman" came to Michigan for the first time ever recently, thanks to director David C. Hayes and the Community Theatre of Howell. 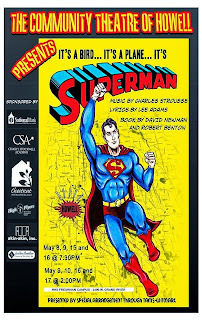 For those who don't know, this musical opened on Broadway in 1966, and in nearly 50 years it has never been shown in Michigan, so this event was a part of pop culture history! Very cool stuff. 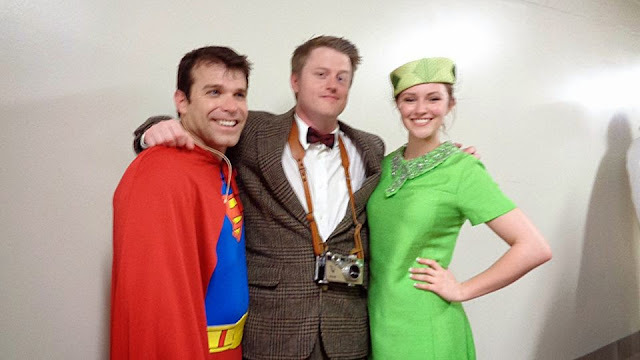 I was able to attend the show two nights, and if you didn't see it, you really missed out. Super 60s, super campy, and SUPER fun, with special tweaks and enhancements by David C. Hayes to the script. It was a blast! 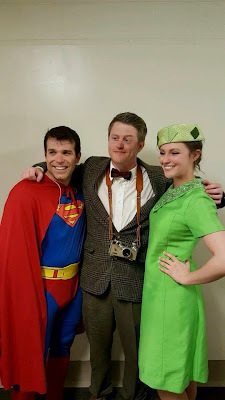 I even made a cameo one of the nights as Jimmy Olsen, getting to briefly share the stage with an incredibly talented and hilarious cast. 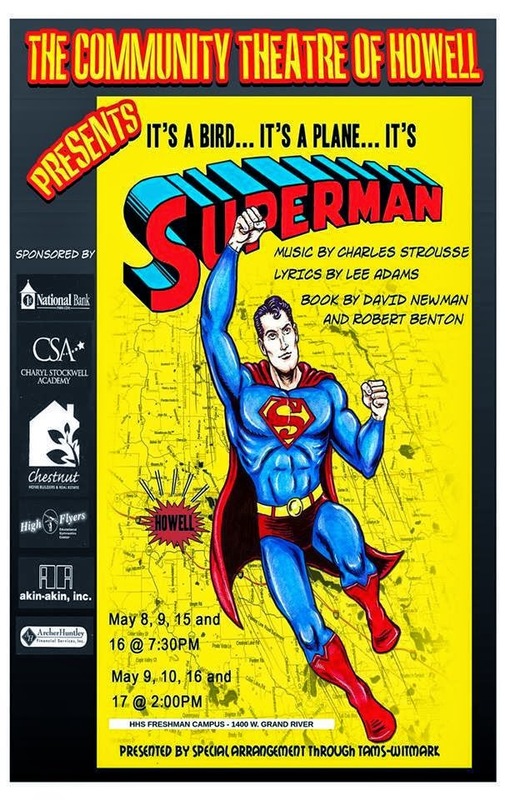 I was honored to be asked to do the artwork that was used on the cover of the program and also to illustrate a short comic story written by David C. Hayes that appeared in the program as well. 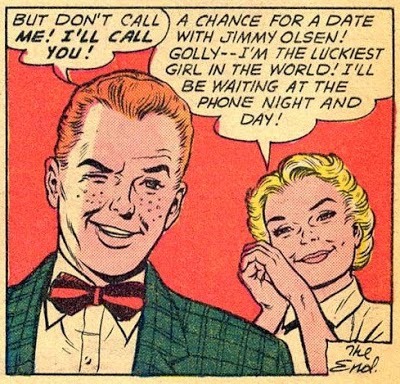 The comic story was done in the style of a series of 1960s daily newspaper strips. Now enough consonants, vowels, and punctuation! You don't want words, you want pictures! 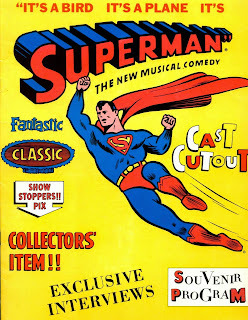 The art I gave the theatre for the program cover, done in a Silver Age style. 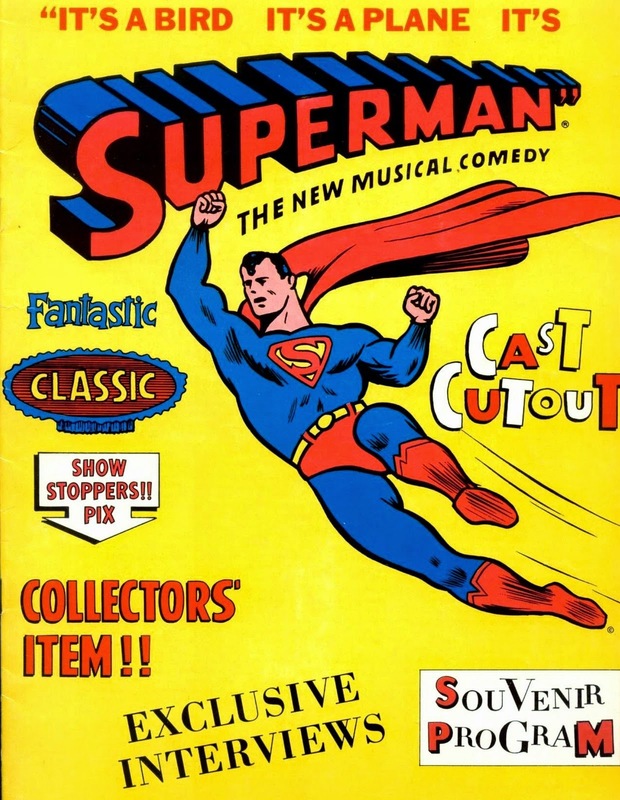 This was the original 1966 program cover, which I took some influence from. 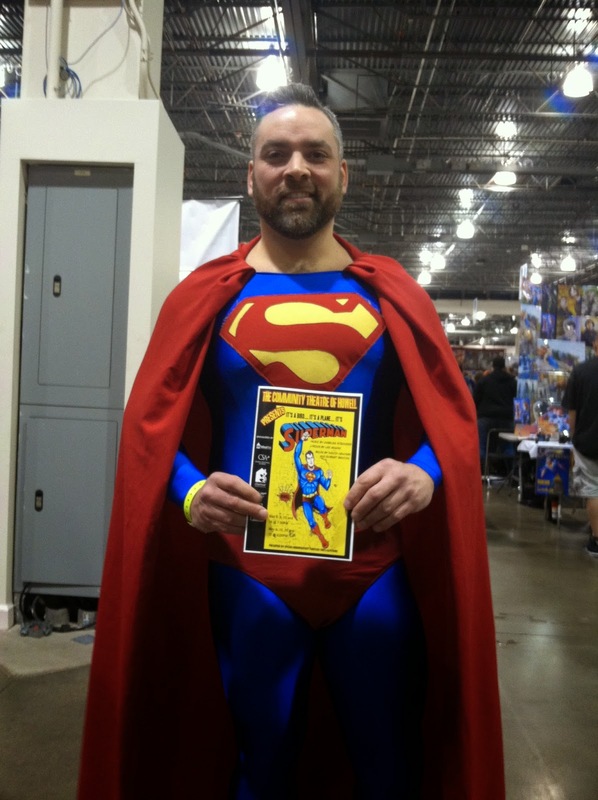 This was some cool Superman cosplay at Motor City Comic Con, he stopped to pose with the program. If you missed the show, I'm sorry to hear! Try to support community theatre, they work hard to create awesome entertainment! Registration and Enrollment is open NOW at www.ArtfulGathering.com and their already well-known classes and impressive instructor lineup has expanded to tap into areas of the art world they previously had not ventured... namely, comic books. 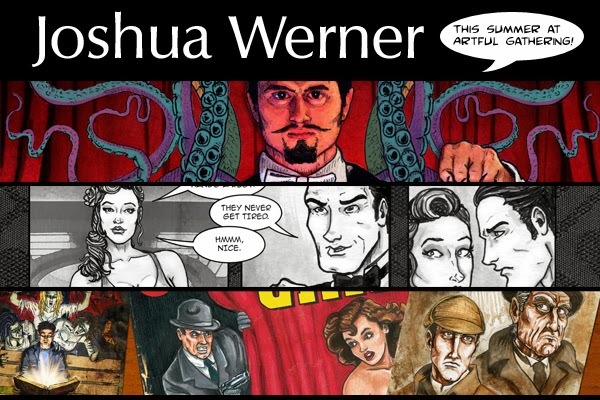 "I can't tell you how excited I am to dive into this summer's teaching session," says professional illustrator Joshua Werner. "Artful Gathering has really created something spectacular that's enjoyed all over the world. I was so flattered when they approached me to instruct new workshops, and I'm humbled to be amongst such well-established talent." You may be asking, "What is Artful Gathering exactly?" Artful Gathering is an annual online art retreat. Every summer it's a chance for people to tap into their creative side and learn how to do something new, at their own pace, in the comfort of their own home, but with step-by-step guidance from an expert via a series of comprehensive videos. The key aspect that makes Artful Gathering so unique is the students have a direct line of communication to that instructor during the whole session, so they can ask questions, show their progress, and get critiques and advice. 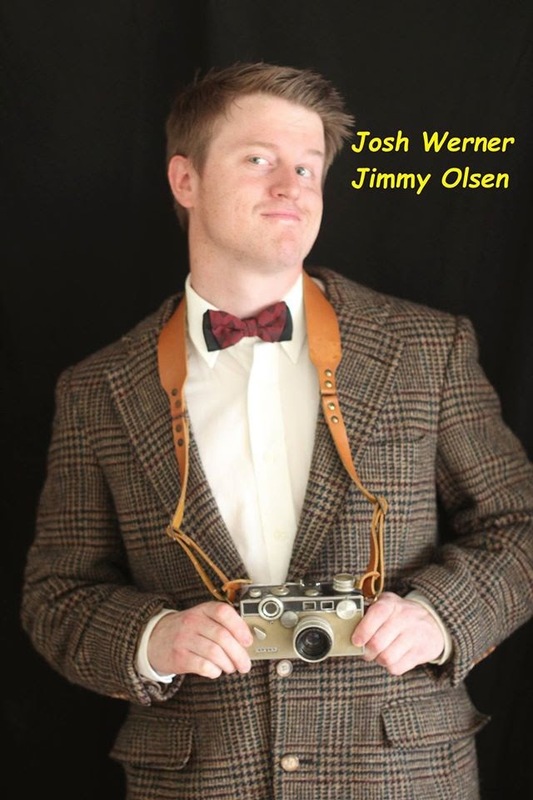 "I'm teaching a class for both Session 1 (which begins June 6th!) and Session 2," says Werner. His Session 1 class is the painting and mixed media portrait class titled 'Portraiture: Exploring Mixed Media'. "I give away all of my tricks in this class, and show you each step that I take in my paintings that gives them such a unique look." Judging by the course description, expect to get messy and have a ton of fun in this workshop. Shown here is the example portrait that Josh creates in the classroom, with layers of texture and imagery embedded within, creating a truly unique portrait. 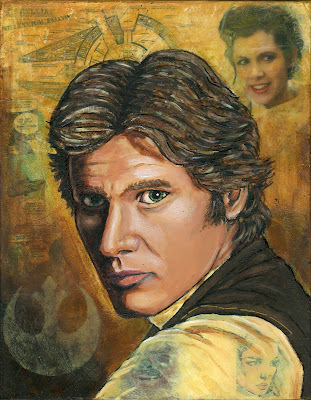 And the fact that his portrait happens to be of Han Solo of Star Wars fame gives you a bit of a taste of the light-hearted fun he brings to his teaching. "I come from a traditional painting background, but work in a field of graphic design and illustration. So uniting my traditional hands-on approach with the world of pop culture and products is something I love doing. It freshens things up, and brings down the walls between the art worlds. We no longer have to have specific expectations of what a particular art style should be when projecting it upon a particular subject or product. Art is everywhere and in everything we do, it's time to unite that and see the beauty in all creations. The ideas of 'high brow' and 'low brow' don't exist to me." You can see Josh talk about his own background and both of his courses at Arftful Gathering in this video, and see more of his art as well! But read on below to hear about Josh's Session 2 workshop, "How to Make a Comic Book"! Josh's Session 2 workshop, How to Make a Comic Book, really speaks to his ideas of tearing down walls between the art fields. "I think such a well-loved and respected institution as Artful Gathering being so excited to offer this comic book class speaks volumes in the art world," says Werner. "People are recognizing the incredible talent and skill that lies in the world of comics, and now, more-so than ever before, are accepting sequential art as a true respected art form." 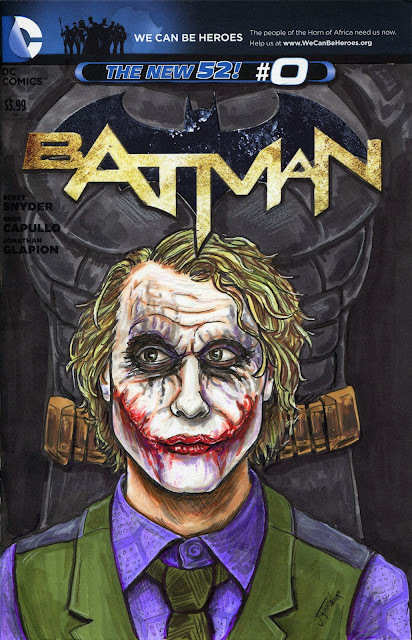 In the video shown above, the comic book artist and writer really expresses his love for the idea of utilizing art to tell a story. And when taking that simple approach to the art form, it opens the door for a wider variety of styles than what is normally expected from comic book artists. "I don't believe in 'artists' and then 'comic book' artists, to me there are just artists. And telling a story is one way to utilize your art." 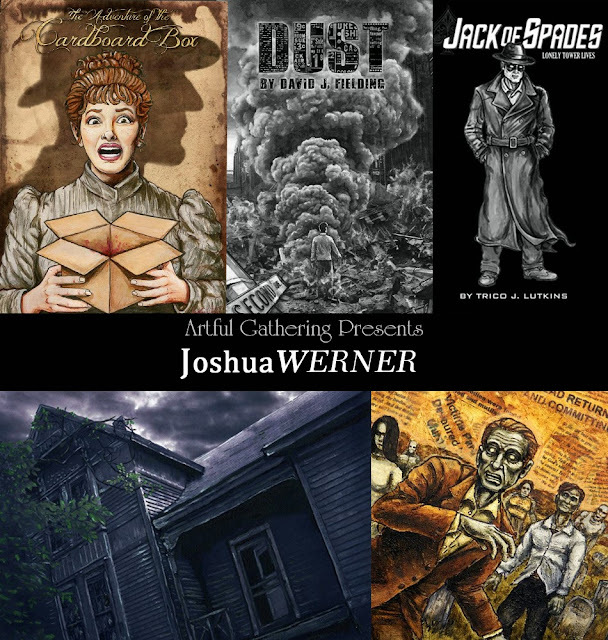 In the "How to Make a Comic Book" Artful Gathering class, Joshua Werner takes you through every single step of the process, teaching you all of the technical side of comic book making and ensuring you leave the course with all the knowledge required to be able to make your own finished comic book. 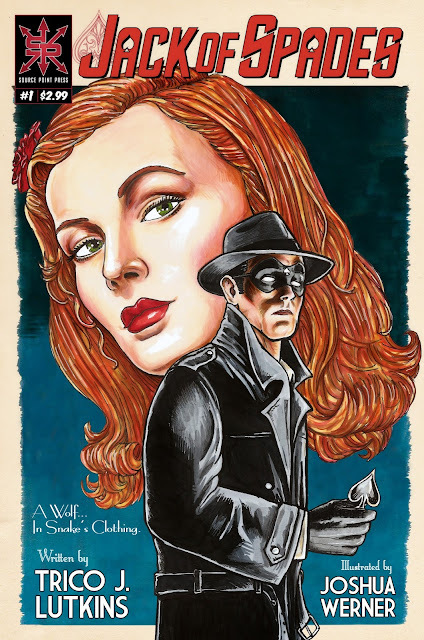 "There are so many incredibly talented artists who would love to make their own comic books but simply lack the know-how on how to prepare the art properly for the printers, and what all of the technical jargon means, etc. I'm here to tell you everything." Head on over to www.ArtfulGathering.com to find out more about the workshops being offered, but hurry, because enrollment has officially began!